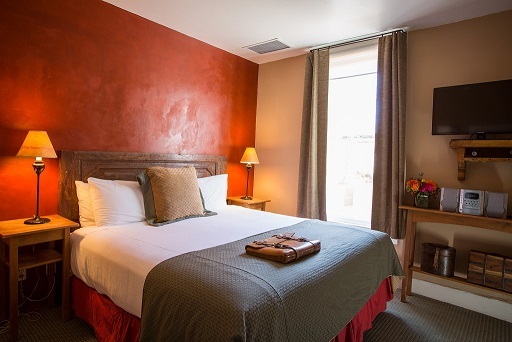 A warm and inviting atmosphere awaits you in a Fireplace studio room where you will enjoy a comfortable king size bed and the romantic glow of the fireplace. Studio rooms also offer a Deluxe continental breakfast, flat screen TV, Wi-Fi, robes and slippers, mini refrigerator, microwave, coffee maker, iron and ironing boards, hair dryers, complimentary parking and an outdoor entrance. Surround yourself by the beautiful landscaping and garden scenery during your stay.